Singer, songwriter, musician and producer, Taylor Swift, has now released "Look What You Made Me Do," on iTunes and all streaming outlets. Taylor Swift's sixth studio album, reputation, will be released via Big Machine Records on November 10, 2017. 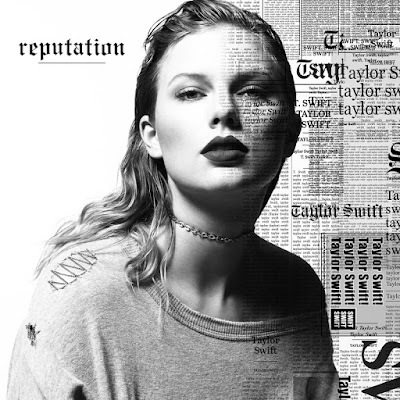 "Look What You Made Me Do" is the first new single from Taylor Swift's long-awaited and highly anticipated 6th studio album, reputation (Big Machine Records). "Look What You Made Me Do" is available for purchase on iTunes and is available to stream everywhere. The most anticipated album of the year, reputation, is available for pre-order on iTunes, Target, TaylorSwift.com, and Walmart. When you pre-order reputation, make sure to register for Taylor Swift Tix powered by Ticketmaster Verified Fan for an opportunity to purchase tickets to an upcoming concert show. Taylor is committed to getting tickets into the hands of fans, not scalpers or bots, so she collaborated with Ticketmaster #VerifiedFan for U.S. dates to create an exclusive program to help you get the best access to tickets, in a really fun way. When you participate, you'll build your activity status and boost your place in line. Register now at Taylor Swift Tix and watch the video explaining more about Taylor Swift Tix HERE. Want to collect all of the various album packages available for Taylor's 6th studio album reputation and help boost your place in line? Here's how…The two Unique and Collectible Magazines created by Taylor will be available exclusively at Target on November 10th and for pre-order online immediately at target.com/TaylorSwift. Standard reputation CD will include one of five double-sided exclusive posters.